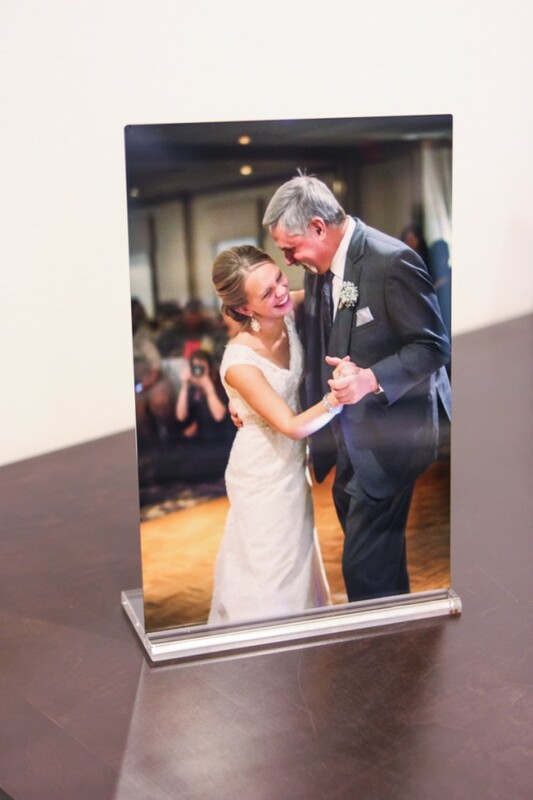 An 8×10 print in an oak frame isn’t what most people think of when they consider a photograph as artwork. People like different things and have different styles in their homes to consider when choosing products. I love to help out with those decisions and help guide clients to the best fit for their tastes and their own unique photographs. It takes knowing what’s out there and being able to make the right choice for the particular photograph you want displayed. I wanted an image to show off my line of metal prints, and chose this photo of Jenna Cohill of icandothat design to share with my clients. Jenna is a friend of mine and I was able to make a few photographs at her wedding while attending as a guest. She is a gifted graphic designer that now lives in Virginia where she designs amazing wedding invitations and save the dates, among other things (check out her site in the link above!). 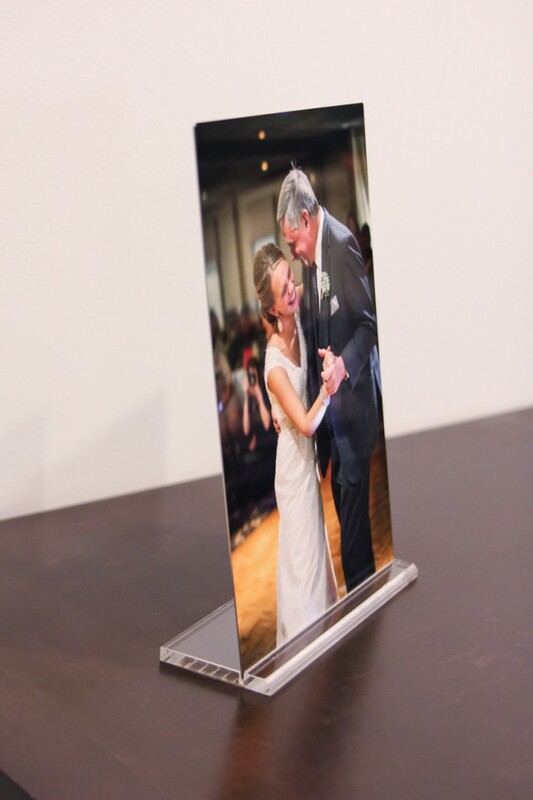 This print is an 8×12 that is displayed with a simple and modern acrylic base. These look great on an entry way table or at your desk, plus they are waterproof and can be wiped down with windex.